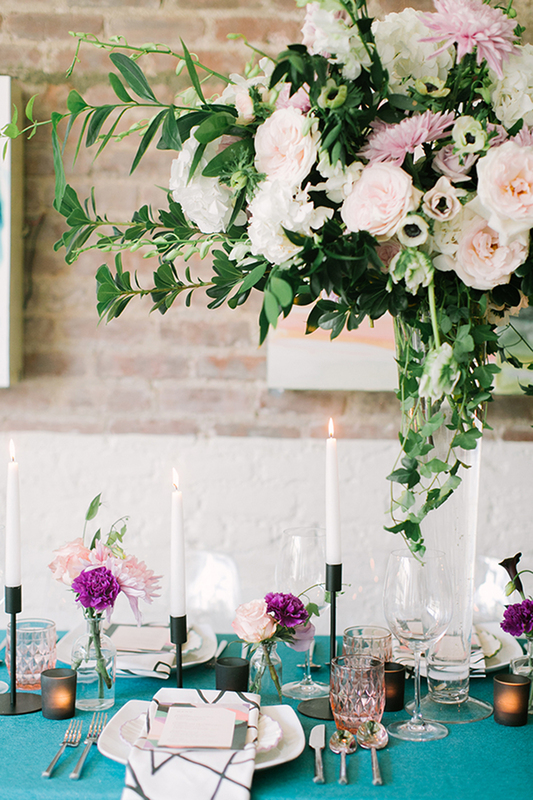 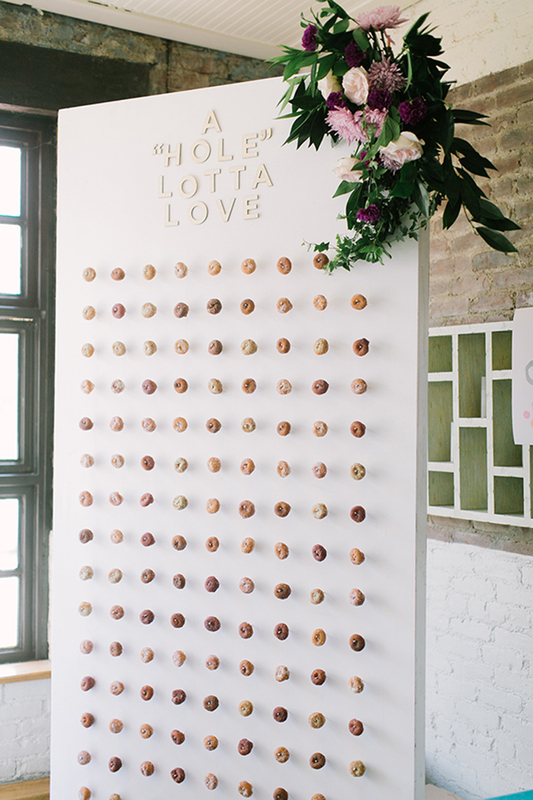 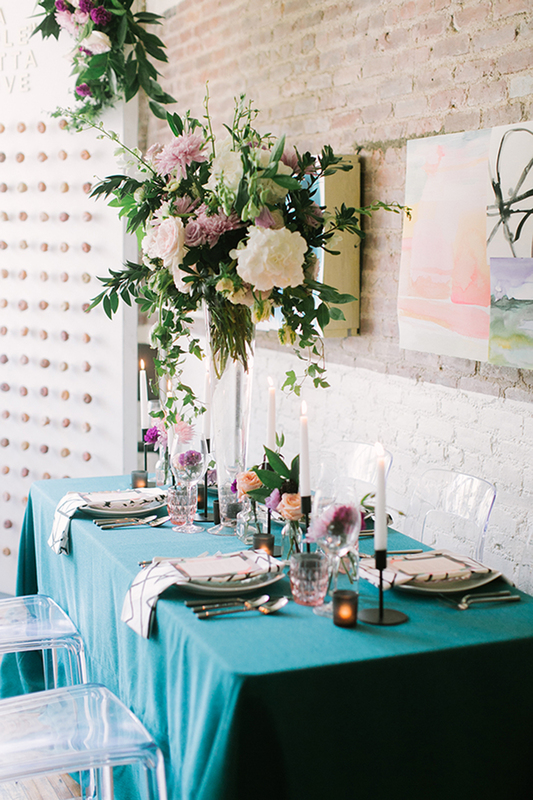 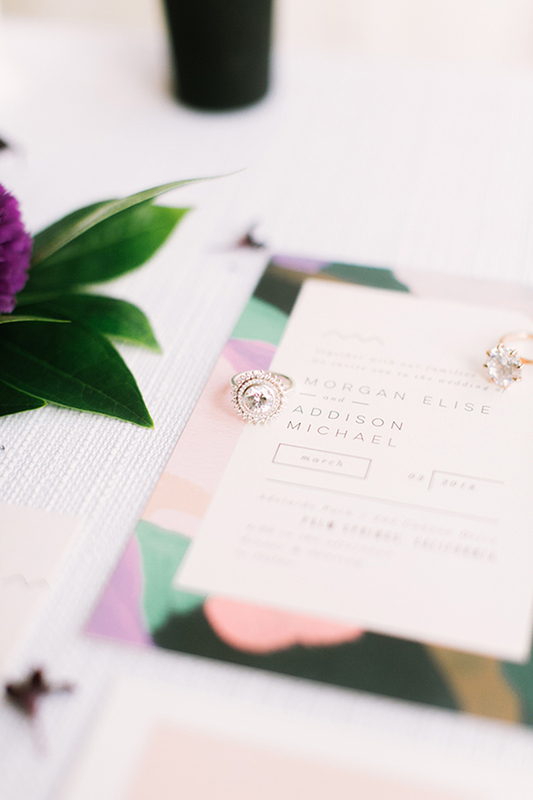 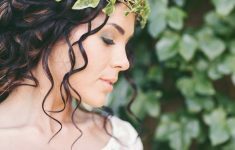 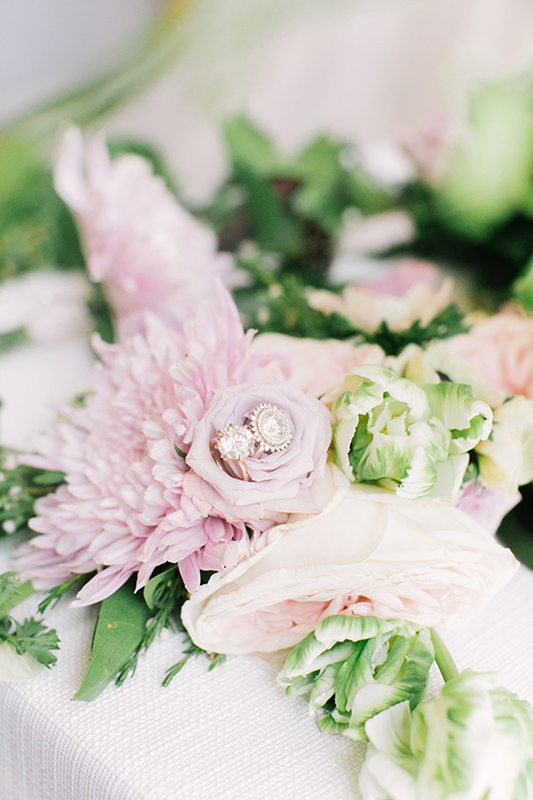 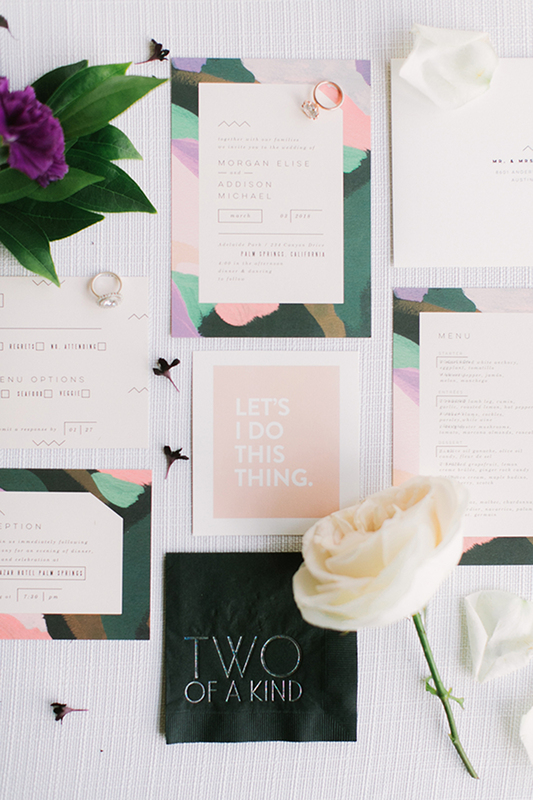 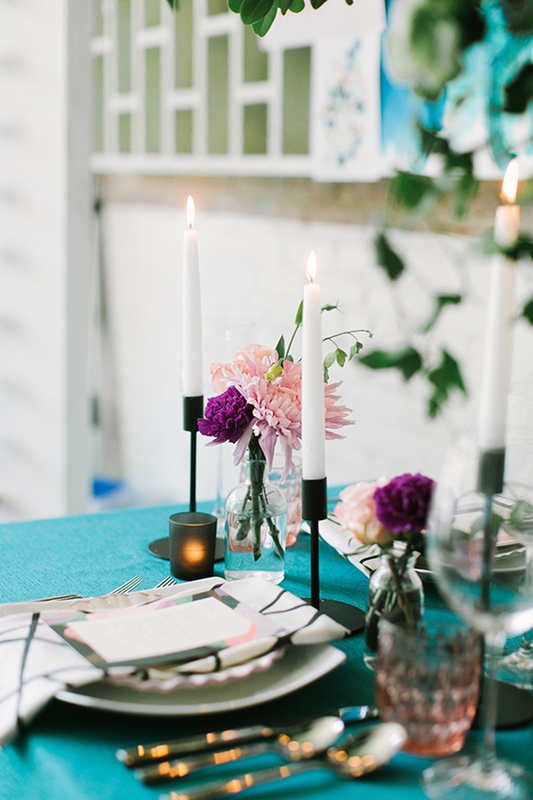 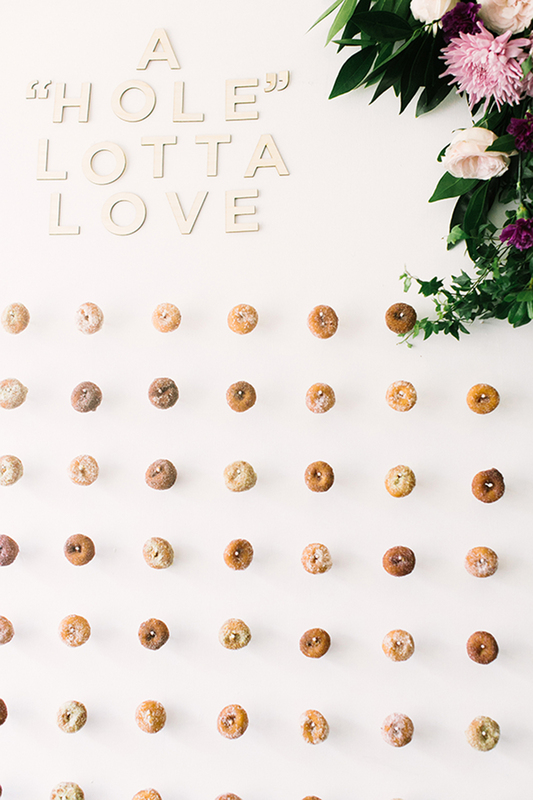 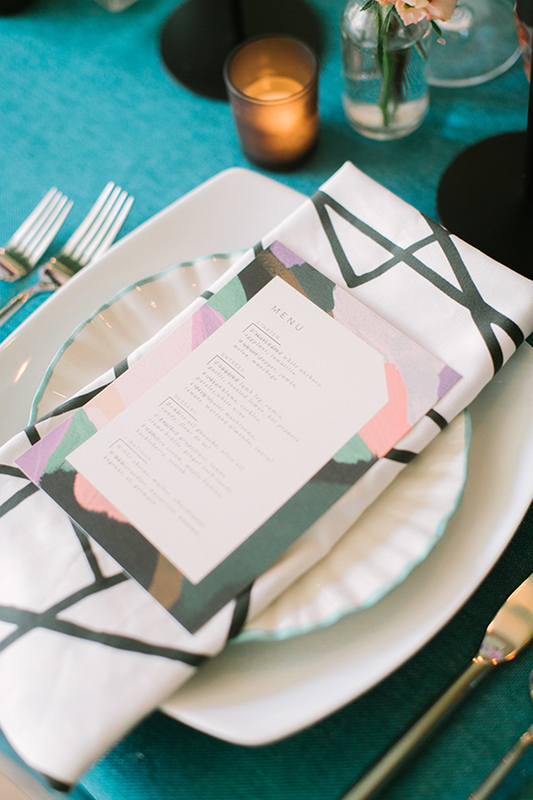 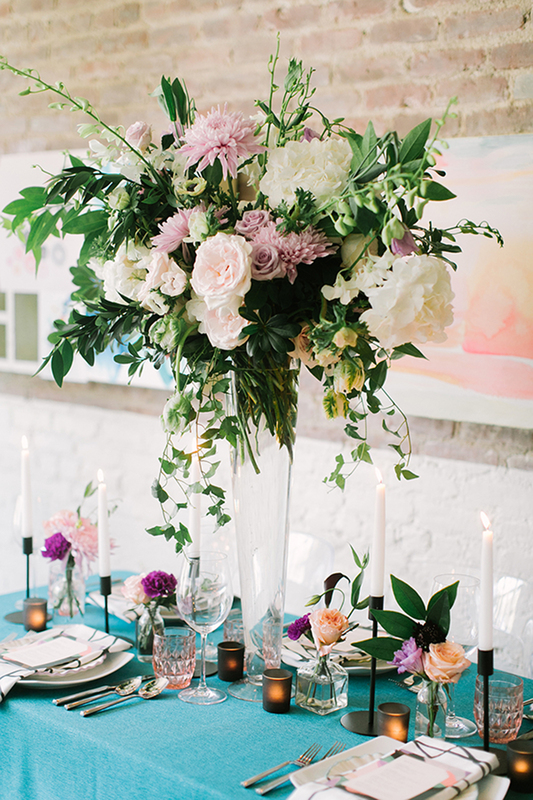 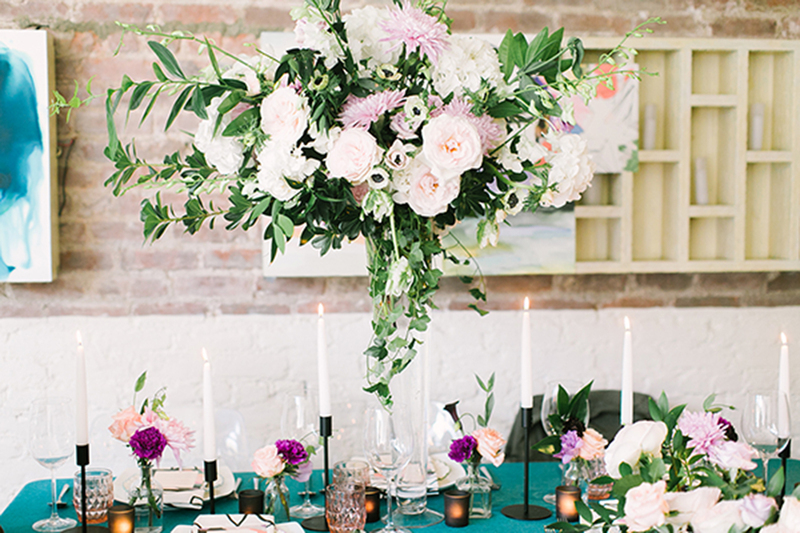 Colourful Whimsy is the theme of the day for the Aisle Society Experience presented by the wonderful Minted! 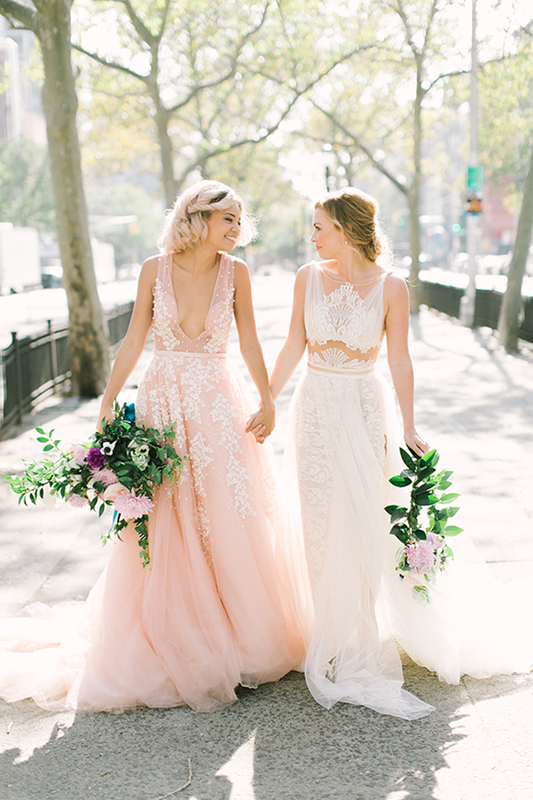 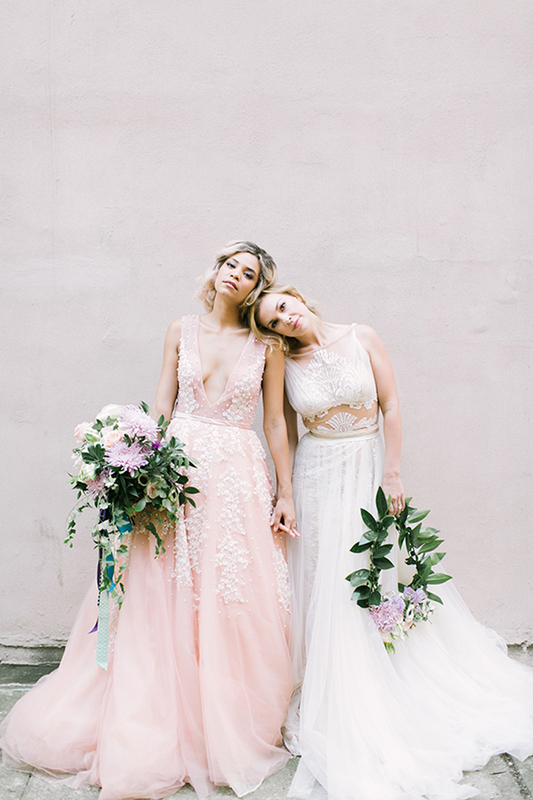 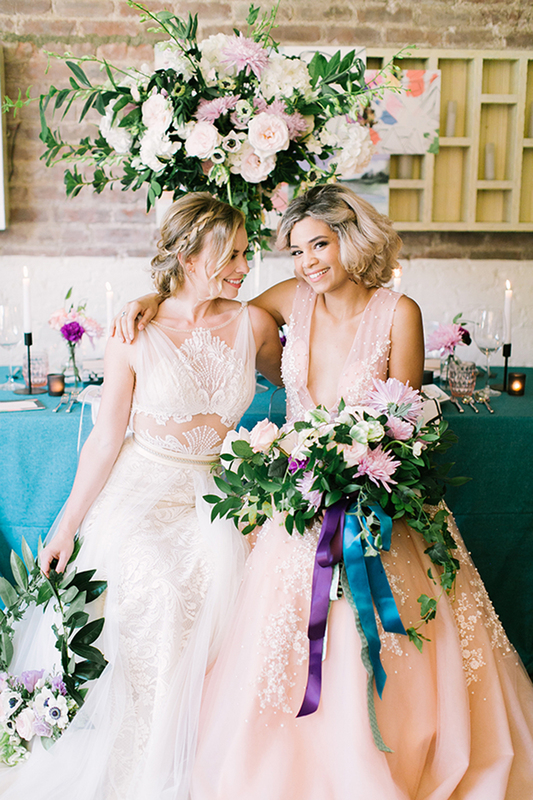 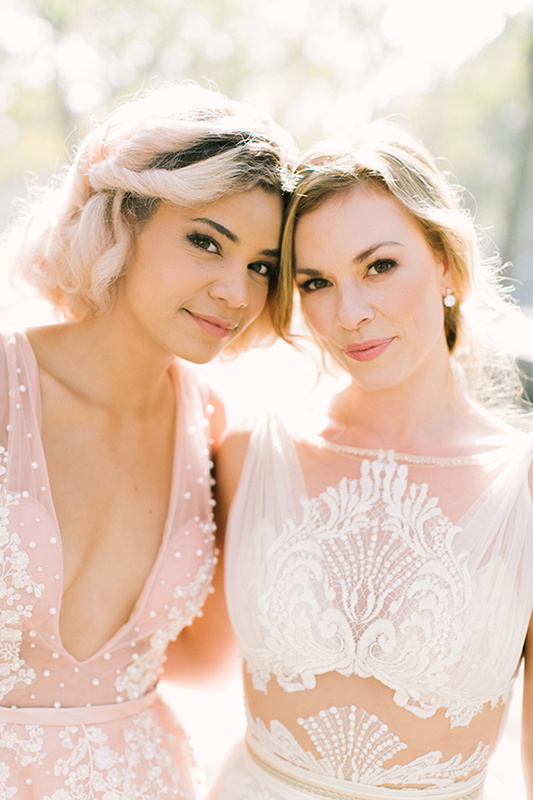 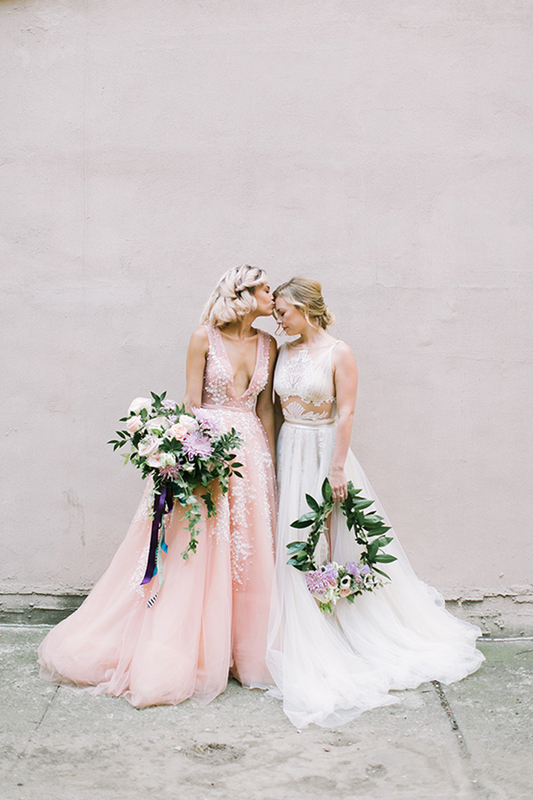 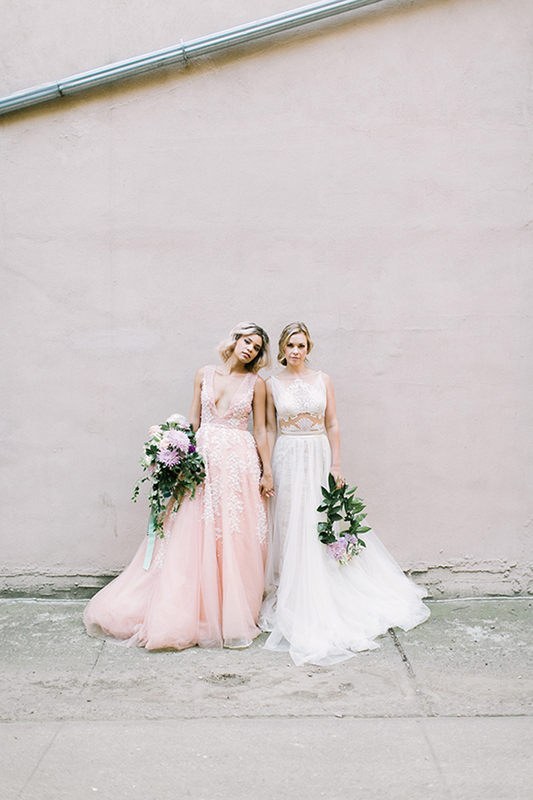 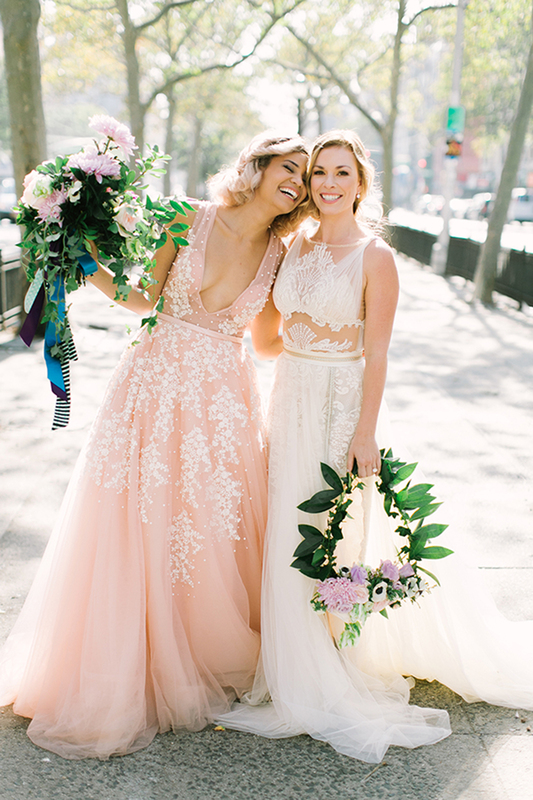 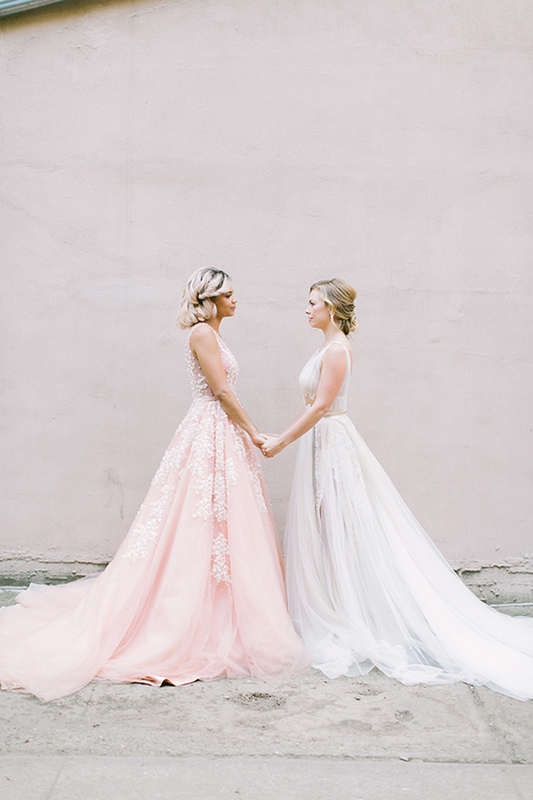 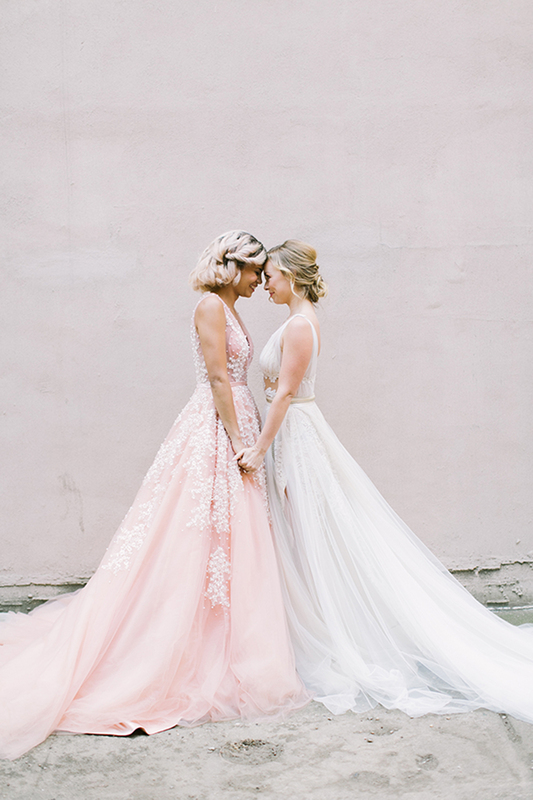 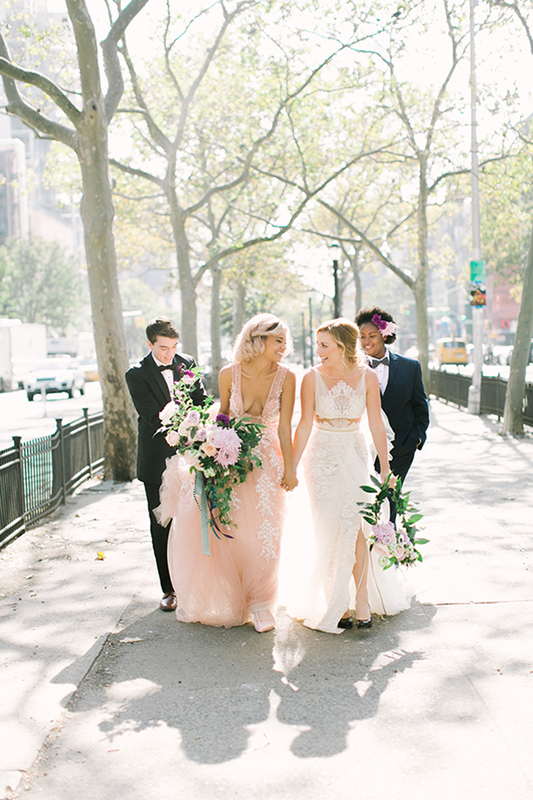 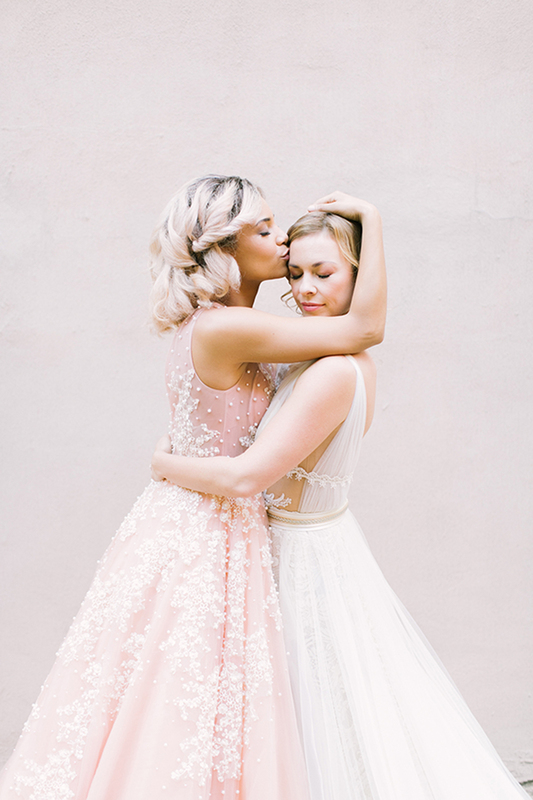 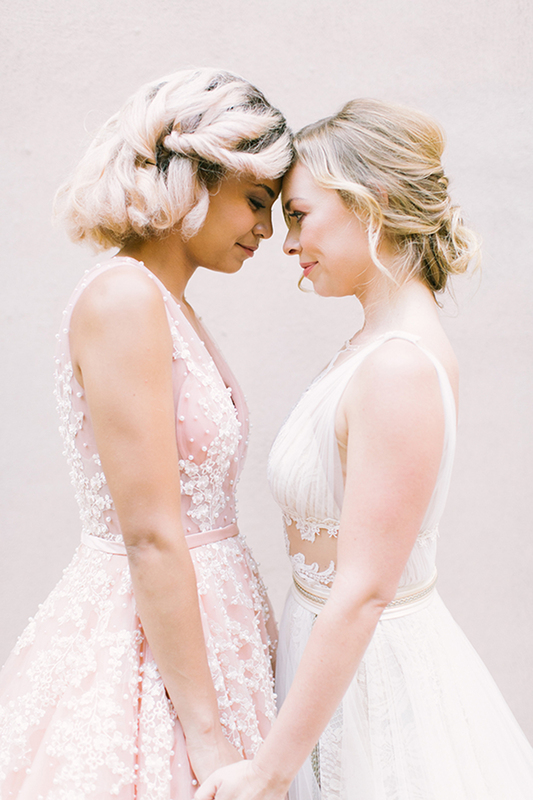 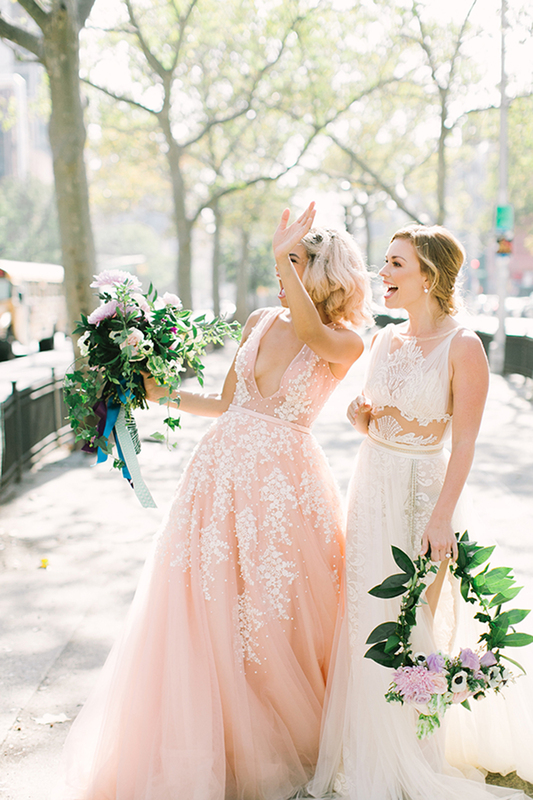 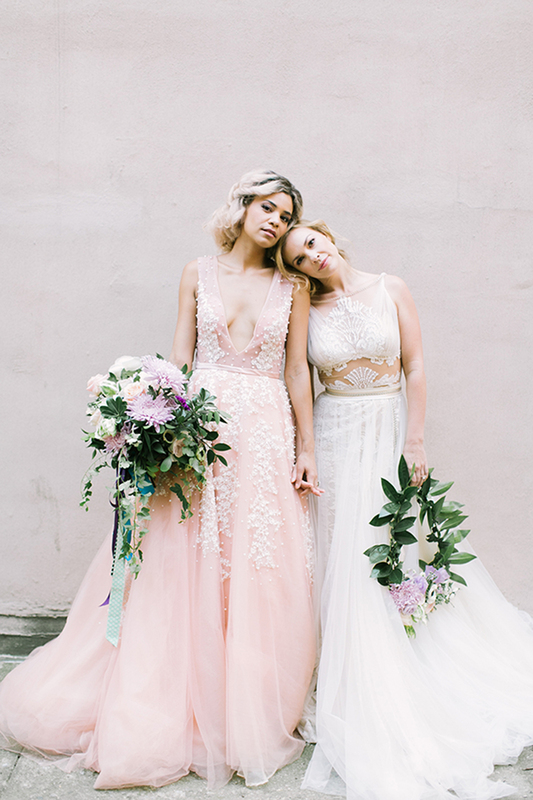 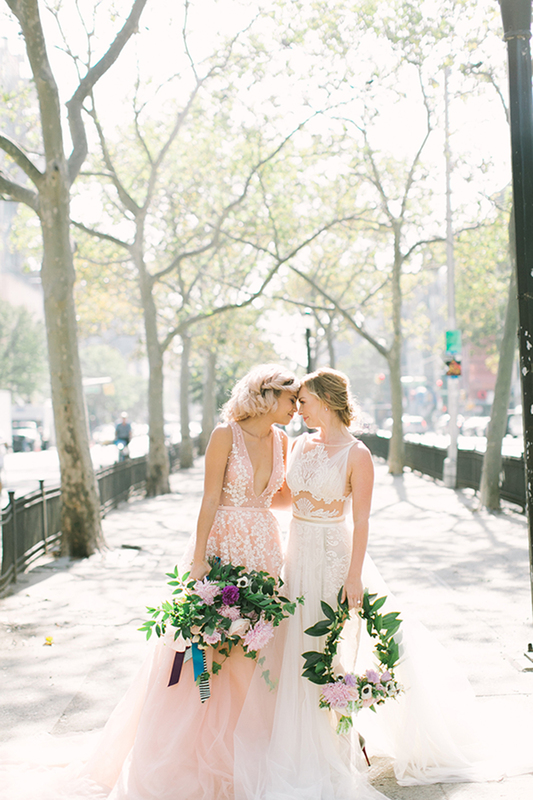 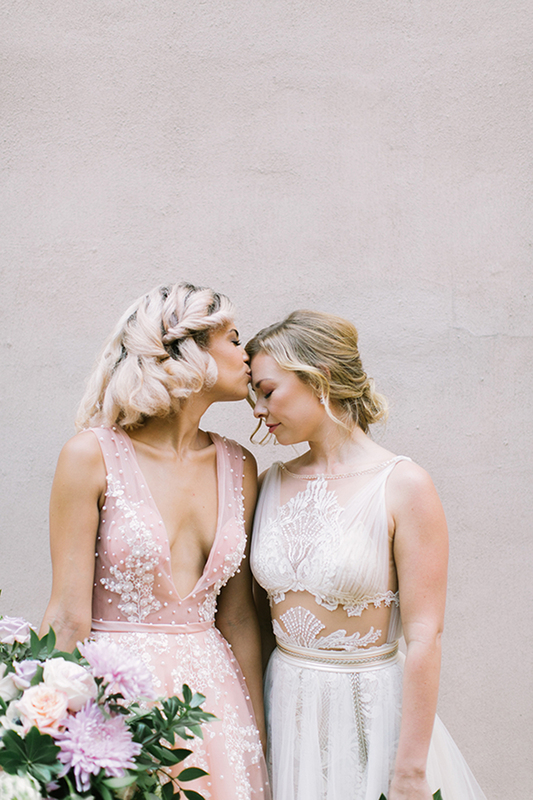 We are completely smitten with both of the beautiful Bride’s gowns with the blush dress by Marlo Ford being utterly magnificent! 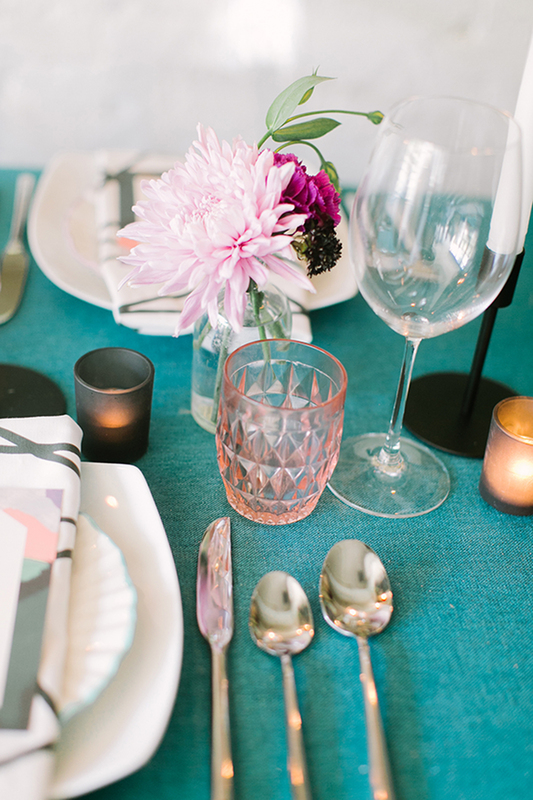 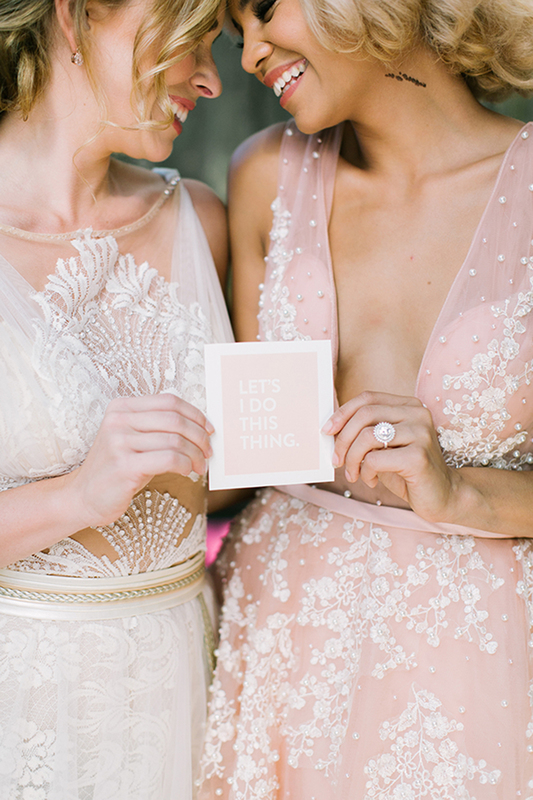 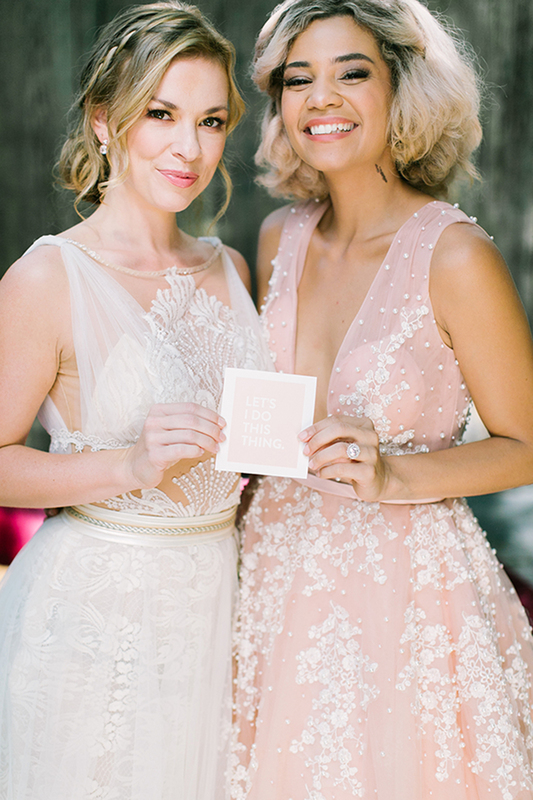 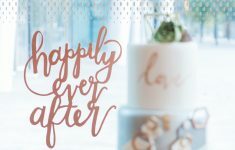 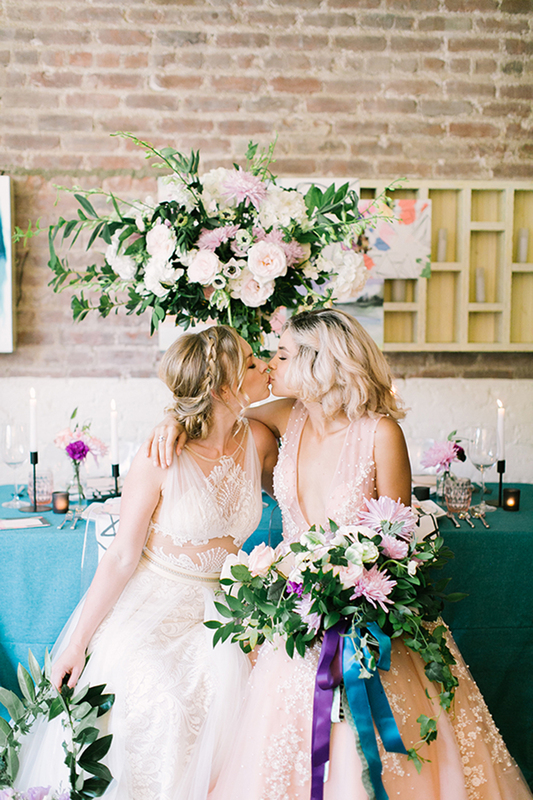 It ties in wonderfully with the colour scheme which is a stylish mix of brights and pastels, with the key tones being pink, teal, lavender and blue – inspired by the chic, contemporary Adagio Invitation Suite from Minted. 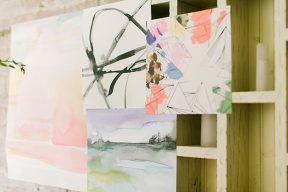 Stylist, Michelle Edgemont used more amazing pieces of art to create a backdrop for the wedding tablescape which compliment the brushstrokes of the invitations. 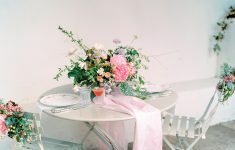 The Rising Light piece is my favourite and the blush, peach and coral colours in it are reflected in the flowers and beautiful glassware!